IRS tax problems require immediate action. To collect a tax debt, the IRS has almost unlimited powers that it can use to destroy your financial and personal life. They can and will use everything in their power to collect the taxes owed through federal tax liens, wage garnishments, levies, intimidating collection notices and phone calls etc. ﻿One of the most experienced teams of Licensed Enrolled Agents, Certified Public Accountants (CPAs) and Tax Attorneys - all on staff and in-house. We are a BBB accredited business. This means the BBB has determined that Advance Tax Relief meets BBB Accreditation Standards, which include a commitment to make a good faith effort to resolve any consumer complaints. 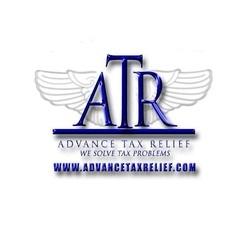 As a tax relief provider we are very dedicated in helping US taxpayers overcome their tax situations and we do this with the utmost care and respect for each clients' individual tax situation.